Update: The FAA has canceled the halt of flights taking off for LaGuardia. 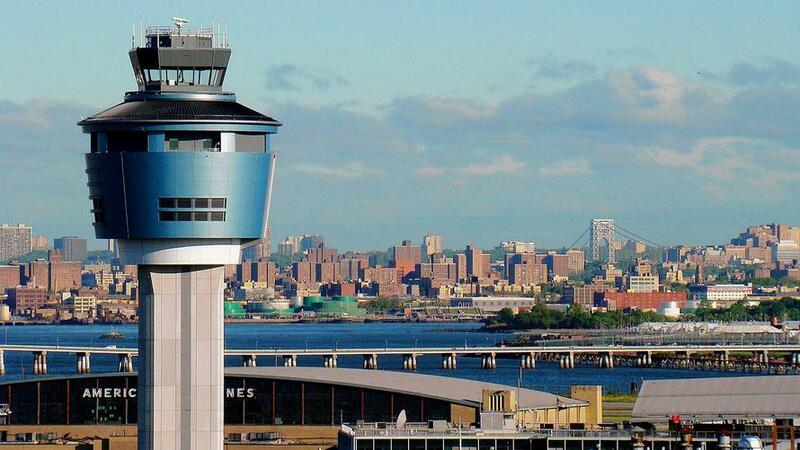 The Federal Aviation Administration halted flights into New York's LaGuardia Airport on Friday due to a shortage of Air Traffic Control (ATC) staff currently impacted by the partial government shutdown. Flights were delayed at several other major airports, such as Newark. According to a joint statement on Wednesday by three aviation unions, staffing at ATC facilities is currently at a 30-year low, and workers are struggling to maintain systems "by working overtime, including 10-hour days and six-day workweeks at many of our nation's busiest facilities." On Wednesday night Air Traffic Controllers Association President Paul Rinaldi told CNN's Chris Cuomo that ATC workers are making "routine mistakes" due to high stress brought on by the partial government shutdown, which entered its 35th day on Friday. "The biggest toll I have right now is the human toll, the fatigue in my work environment right now where I'm seeing routine mistakes because they're thinking about which credit cards can I consolidate up for zero interest?" said Rinaldi. Rinaldi also pointed to growing equipment concerns caused by staffing shortages at air traffic controlling facilities. "Radars have gone down. They're not being brought up. That's how we get information from the radar systems," added Rinaldi. "This is a deep concern and it can't go on for months." Rinaldi joined the presidents of two other aviation unions on Wednesday - the Association of Flight Attendants CWA and the Air Line Pilots Association - in a joint statement urging Congress and the White House to reopen the government due to "unprecedented" risks to air safety. "In our risk averse industry, we cannot even calculate the level of risk currently at play, nor predict the point at which the entire system will break," reads the statement. The statement said that major airports were already seeing security checkpoint closures, with many more potentially to follow. Additionally, the aviation professionals raised concerns about cybersecurity as workers remain furloughed and cyberteams understaffed. Long term, if controllers begin retiring and resigning, the potential there for these delays to continue for months or years. Replacing a controller is a slow process due to the intensive training required. 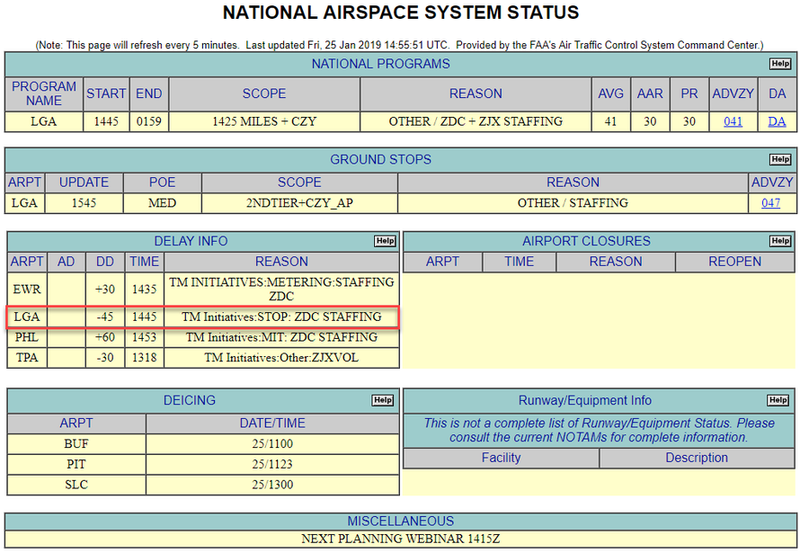 On Thursay morning an FAA spokesman attempted to calm concerns over air safety. "The FAA continually reviews and analyzes the performance of the national airspace system to assess its safety and efficiency," said the spokesman. 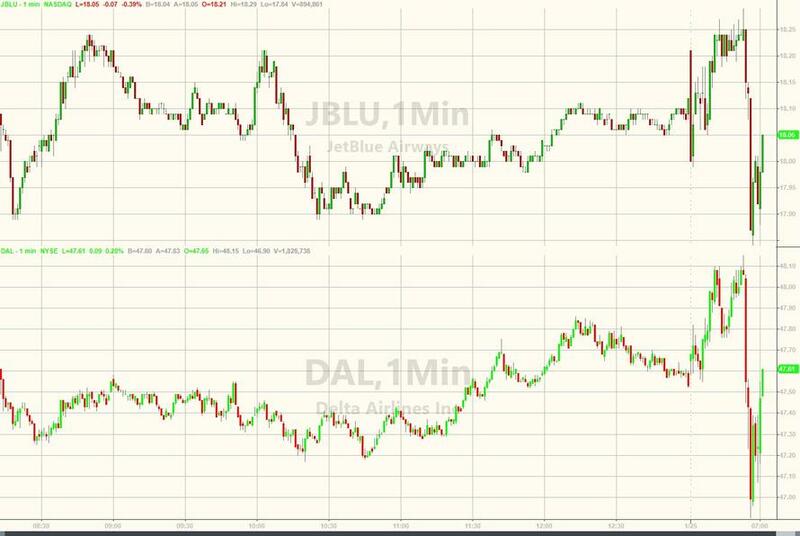 "We have not observed any appreciable difference in performance over the last several weeks compared to the same periods during the previous two years. We remain grateful to the air traffic controllers for their professional and dedication to their safety mission." Some TSA workers set to miss a second paycheck on Friday were notified that they would receive a partial payment.